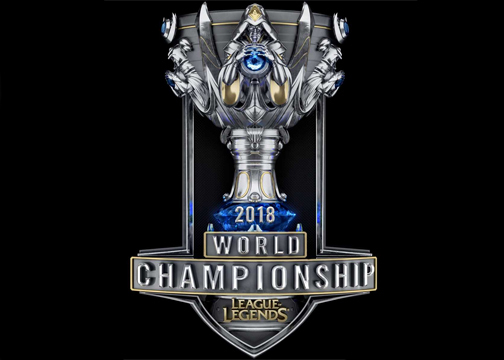 The League of Legends World Championships held the grand finals on Nov. 3. For the first time in seven years, a Western team was represented as Fnatic were set to play against the Chinese juggernaut in Invictus Gaming. Both teams had impressive roads to the finals, with IG knocking out tournament favorites in KT Rolster as well as unseating G2 Esports in the semifinals. Fnatic beat Edward Gaming in quarters and went on to make a mockery of North American representatives Cloud9 in the semis. With China never having won a world finals, both teams were out to make history. History was made in record time as IG took the series in a 3-0 sweep that was the second fastest world finals in League of Legends history. Fnatic were outclassed in nearly every way this series. TheShy in the top lane managed to dominate Bwipo and sOAZ on both tanks and carry champions, playing three different champions in the three games. Jungler Ning ended up winning the MVP for the series, dying a mere three times with a KDA ratio of 14. His opposition in Broxah was heralded as the strong point of Fnatic for much of the playoffs and was held to a minimal impact throughout the series. Not far behind Ning’s performance was mid laner Rookie. Rookie’s legacy as an incredible mid laner was well known to the world despite his failure to appear on the Worlds stage. Also only dying three times, Rookie played three different champions and brought in a KDA of over 15. Fnatic mid laner Caps has been a staple carry for the team all season and simply failed to make an impact. Rekkles has a history of performing really well but under-performing massively when he’s facing up against legendary attack damage carries, or ADCs. He has a tendency to melt in the presence of star players as Royal Never Give Up’s Uzi, but he held his own against young stud JackeyLove on the side of IG. Holding your own isn’t quite good enough when JackeyLove died twice and pulling in 25 kills in three games. His incredible series was capped off by a 13/0 game as Kai’Sa just when it looked like Fnatic might be in the series. Even IG support Baolan made Hylissang look like a non-factor as Hyli died 19 times over the course of the series. All-in-all, the finals were kind of disappointing. Fnatic could try to come out of the series looking at the bright side of their performance, but there wasn’t one. In every possible way, they were outclassed and outperformed by IG. Given the hype that the Fnatic players put on themselves coming into the series, they were not only the losers of the games but also left a sour taste in fans’ mouths. Rekkles heralded himself as the best ADC in the semifinals, claiming that no other could touch him, which JackeyLove very much proved him wrong about. Bwipo spared no time trash talking Cloud9’s top laner after the semi-finals before getting it shoved in his face by TheShy. Even Fnatic’s coach Youngbuck was quick to criticize G2 and Cloud9 for being satisfied with their performances, despite setting a record for performances by western teams. Overall, Fnatic made it hard to feel sympathetic for their loss, but that’s not to take away from their accomplishment. For the first time in seven years, a Western team had made it to the finals. Also for the first time in seven years, North America was represented in the semifinals. It was also the first time that three Western teams in general made the semifinals at all. All three of them should be satisfied with how it went.